The Jackson 5 were an American popular music family group from Gary, Indiana. Founding group members Jackie, Tito, Jermaine, Marlon and Michael formed the group after performing in an early incarnation called The Jackson Brothers, which originally consisted of a trio of the three older brothers. Active from 1966 to 1990, the Jacksons played from a repertoire of R&B, soul, pop and later disco. 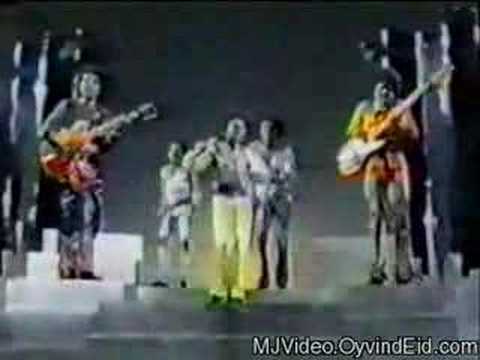 During their six-year Motown tenure, The Jackson 5 were one of the biggest pop-music phenomena of the 1970s, and the band served as the launching pad for the solo careers of their lead singers Jermaine and Michael, the latter brother later exploiting his early Motown solo fame to greater success as an adult artist. The Jackson 5 were the first act in recorded history to have their first four major label singles ("I Want You Back," "ABC," "The Love You Save," and "I'll Be There") reach the top of the American charts. Several later singles, among them "Mama's Pearl", "Never Can Say Goodbye" and "Dancing Machine", were Top 5 pop hits and number-one hits on the R&B singles chart.